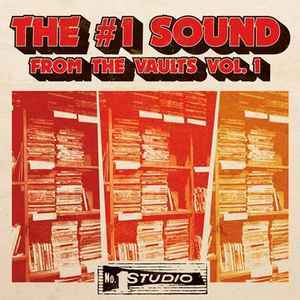 Excellent compilation of studio one gold, love the authentic old school labels. Pressing sounds killer for me! From the vaults of Studio One comes an 18 track bonanza of rare sides featuring both the label’s top hit makers as well as some of its more obscure artists, featured on LP for the first time. Two tracks are previously unreleased. From Alton Ellis, Johnny Osbourne, and the Gaylads to Roy Tomlinson, the Soulites, and the Officials, the collection spans the label’s output from the late sixties to the early 1980s. These recordings might be rare, but they are some of the best “forgotten” songs released by Studio One. Where once only found in the collections of Reggae aficionados and fetching tidy sums on the internet, From the Vaults, Vol. 1 showcases some of the greatest “lost” music by Jamaica’s legendary label. The LP also comes with a bonus 45 single, featuring a unreleased track from Glen and Dave, exclusive for Record Store Day Black Friday. Really great compilation. I like it way better than the roots collection (only other compilation I have from them). The 7" in particular is a standout.